Have you listened to the new U2 Album yet? It blew me away. 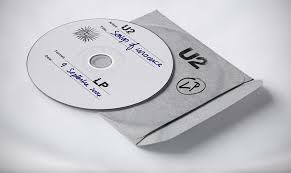 -by the concept (this album is called Songs of Innocence, and will be followed by Songs of Experience. I mean, they might as well be called “Titles I want to steal for future books…”). -the tribute to Joey Ramone in the opening track. I especially like that I thought it was about one thing, then read an interview and learned it’s about something entirely different, and I think the song works both ways. Amazing. -the lyrics. The lyrics! (Are we ready to be swept off our feet and stop chasing every breaking wave?) Words are what make or break a song for me, and this album is filled with word combinations that are careful and important an real. The gold standard for any writer. Great writing nourishes, there’s no doubt about it. Memoir, novel, lyric, poem, speech, rant, tweet…whatever. When someone else’s words make you think about things in a new way (Are we ready to be swept off our feet and stop chasing every breaking wave?) that’s one of my favorite things in life. I crave it, like oxygen or potato chips. Also true (remember my both/and from earlier this week?) is that once U2’s lyrics get tossed around in my mind with some similar ones from Ryanhood, an essay I read in the New Yorker about a ballerina, and a couple I met this morning who are celebrating either 65 or 69 years of marriage (they disagree on this detail, and it’s hilarious how at this point it actually doesn’t matter), new thoughts emerge from this melange that help me finish the chapter I’m writing on my friend’s re-marriage to her husband after they were divorced for 7 years. That’s a cool thing to be part of, even though I don’t understand how it works (or why it it disappears for long stretches of time). Anyway, not sure what my point is here. Listen to the album. Appreciate the gift of these guys who have been working as a team for YEARS to create this. See what it adds to your life. This entry was posted in Inspired By and tagged New Yorker, Ryanhood, U2 on September 19, 2014 by Trish Ryan.